Read the biographies of genealogists to choose who you would like to work with. Select a time slot that will work for you. Check the appropriate sign up box and click "Submit and Sign Up" at the bottom of the page. Fill out the requested information (first/last name, email address, answers to a few questions regarding your brick wall issue; please be as detailed/specific as possible and please do not provide information on multiple brick wall issues, only one per appointment, time permitting). Click "Sign Up Now" at the bottom of the page. On the next screen click on the box "Return To Sign Up." Your name should appear on the sign up page next to the person you chose to work with at the appropriate time slot. NOTE: If you signed up for an appointment and find that you cannot make it to the session, please notify the contact person (contact info below) ASAP so that we may then open up your slot for another person. The sign up is set to only allow one appointment per person so that as many people as possible will have the opportunity to work with someone. Appointments are 1 on 1 only, no group appointments and slots tend to fill up quickly. We have two 30 minute appointments per genealogist during the second half of the session. Please do not sign up for those appointments unless you expect your question to take longer than the normal 20 minute appointment to handle. Also, given the nature of research, we cannot guarantee your problem will be completely solved in one day, if at all. However, the professional genealogists will do everything that they can to assist and guide you in your research. If all appointment slots are filled prior to the session, we will be unable to accommodate walk-ins on the day of the event. Genealogist Betty DeKeyser: A native of Maryland with ancestry that stretches back to the Ark and Dove. She spent several years as a search room volunteer at the Maryland State Archives. More recently involved with the operation of the Kuethe Library Historical and Genealogical Research Center in Glen Burnie, MD assisting researchers. She is a member of the Anne Arundel Genealogical Society and the Maryland Genealogical Society for many years and is currently a member of the MGS Board of Directors. Specializes in Maryland (especially Charles County), southern Maryland records and resources. Genealogist Noreen Goodson: She has been doing genealogy since 1981. Since 2005 she has been Secretary of BAAHGS (Baltimore's AfroAmerican Historical & Genealogical Society) /Agnes Kane Callum Chapter. She has been teaching Beginning Genealogy workshops since 2006 and, along with Angela Walton-Raji, she has been co-hosting a monthly beginning genealogy workshop at the Historical Society of Baltimore County in Cockeysville since 2012. Genealogist Malissa Ruffner JD, MLS: Malissa holds a Certified Genealogist® credential and currently serves as editor of the Maryland Genealogical Society Journal. She has conducted research in Maryland, Pennsylvania, and New England, and is the director of the Genealogical Institute on Federal Records. Historian, Archivist II Jean B. Russo: Ph.D. in colonial history, 1983; archives employee for 15 years. Primary expertise in Maryland colonial history; familiarity with probate, land, and court records. Co-author of Planting an Empire: The Early Chesapeake in British North America (Johns Hopkins Press, 2012). Christopher T. "Chris" Smithson, A.A.S. : Specializing in Harford County, Baltimore County and Baltimore City, and Cecil County from the Colonial to 21st Century, documentation retrieval, brickwall ancestors, patriotic and hereditary lineage research, and missing heirs research as well as African-American research.. Conducts research at the Maryland State Archives, and the Maryland Historical Society. Currently serves as the Genealogist, Maryland Society of the Sons of the American Revolution and Genealogist General of the Hereditary Order of the Signers of the Bush Declaration. Author of 7 books. Awarded Florence Kendall SAR Membership National Award. Featured in the journal of “American Psychologist” for solving the mystery of “Little Albert”. 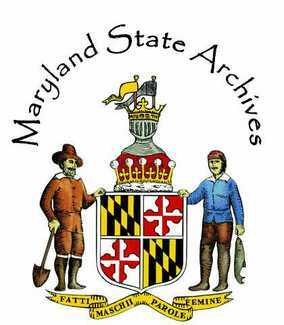 Genealogist Allender Sybert: Genealogist with decades of experience dealing with mostly Maryland genealogy records and research. Current treasurer and registrar and past president of the Maryland Genealogical Society. Edward and Joseph Woodfield. Orphans? Traveled from England, maybe on Maria to Portsmith/Norfolk 18 May 1831. Both in 1850 Census. Somehow Edmund Reis, preacher, involved. Reis 1815 1st Baptist, Baltimore. Reis 1721 Ebenezer Baptist, Baltimore.